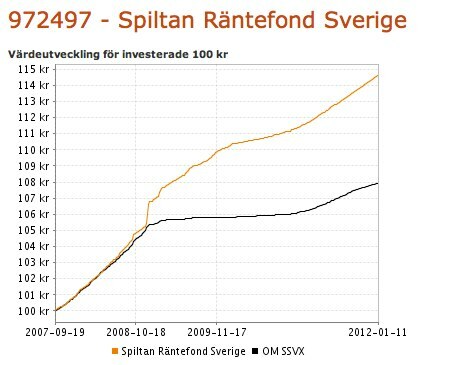 A few years ago, the Swedish government decided a new structure for Swedish citizens pension. The main part is based on the income you’ve earned, in my case at the moment 69 280 SEK. It feels like quite a lot, since I just have been working during the summers this far, anyway, this would, depending on stingy I can be, be enough for a year or something. 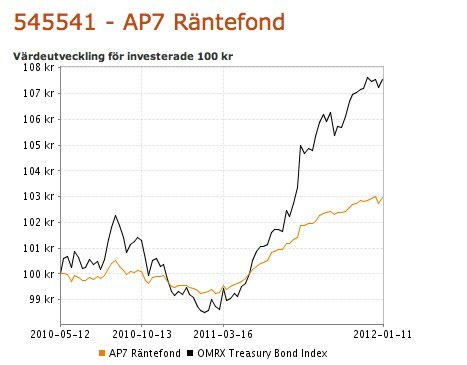 One interesting thing, good or bad, I don’t know, is that a smaller part of Swedish citizens pension, is put into funds, and if I don’t choose myself, default is two funds called AP7 Räntefond (“fixed income fund”?) 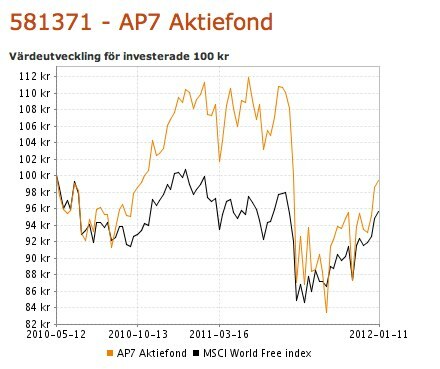 and AP7 Aktiefond (equity fund), see below, or actually, its just in the equity fund until I’m 55, because shares might give better return. 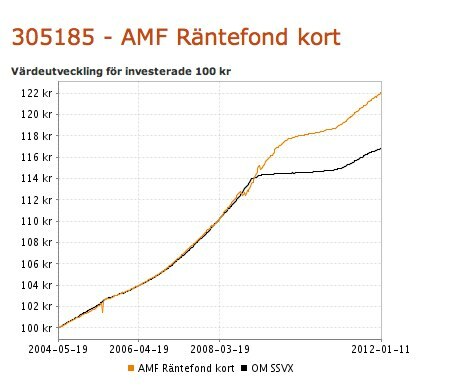 This is called premium pension, and is, in my case, 6082 SEK at the moment. And here is the development of the funds last years. 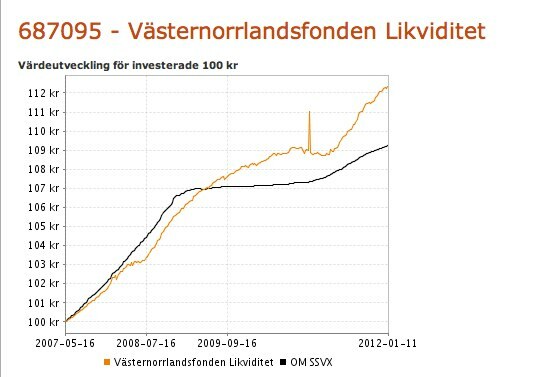 So, after I read the book “Så här kan alla svenskar bli miljonärer” (How all Swedes can become millionaires) by Per H. Börjesson, I decided to take a look at this and decide my funds myeslf. Börjessons theory is quite simple, don’t pay the financial industry any unnecessary costs. Since about 9 of 10 fund managers don’t beat index, there is probably just a loss to pay them management fees. I simply sorted the funds by management fees and chose the one entirely free (Avanza zero), and then the funds that seems to have been best compared to index the last years and divided all parts equally. 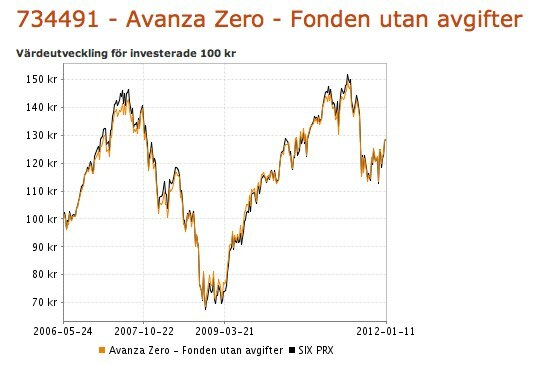 As you can see has all of them beaten index, maybe except for Avanza zero, that probably is nothing but a index fund, meant to follow the index. Anyway, the fees are very low. This tiny part will probably don’t make me a rich pensioner, but it is slightly more exciting to have made this choice myself.